Question; How does this Equinox support the Heart? Summary of Interpretation: This Equinox supports the Heart’s overall powers of moving forward in material life by casting out the mental habits that are currently preventing the next step of closeness with deeper sacred powers. It is the closeness with sacred powers and the quest to align them with the environment that is the main focus, but when mental focus on existential survival or isolated progress take too much energy from one’s total organism, then that energy drain becomes an obstacle to questing deeply. 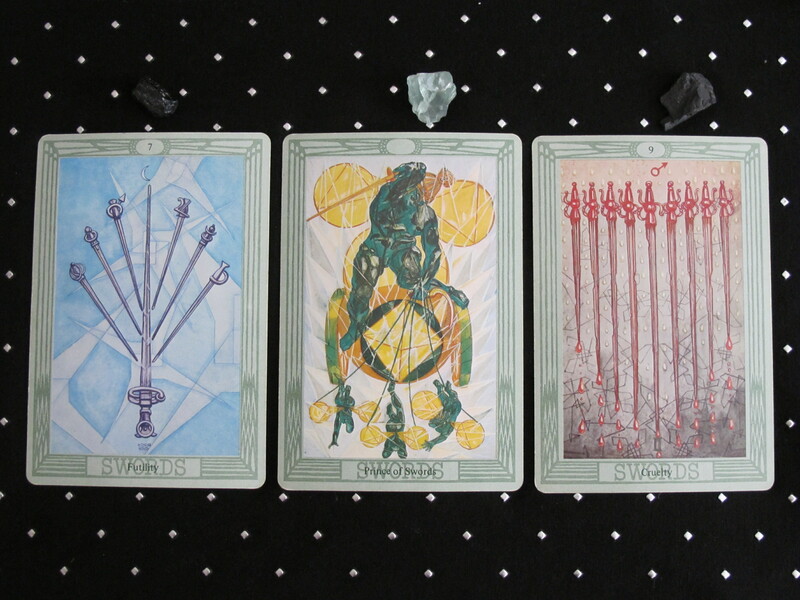 The autumn in the Northern Hemisphere is a time of both harvest and letting go, so the Tarot has identified what mental drains to let go (old battles, restlessness, unreconciled duality) to make room for the harvest that the Heart orchestrates through feminine dynamics (love, beauty, fecundity, receptivity, patient cultivation, nutrition, organization, health). 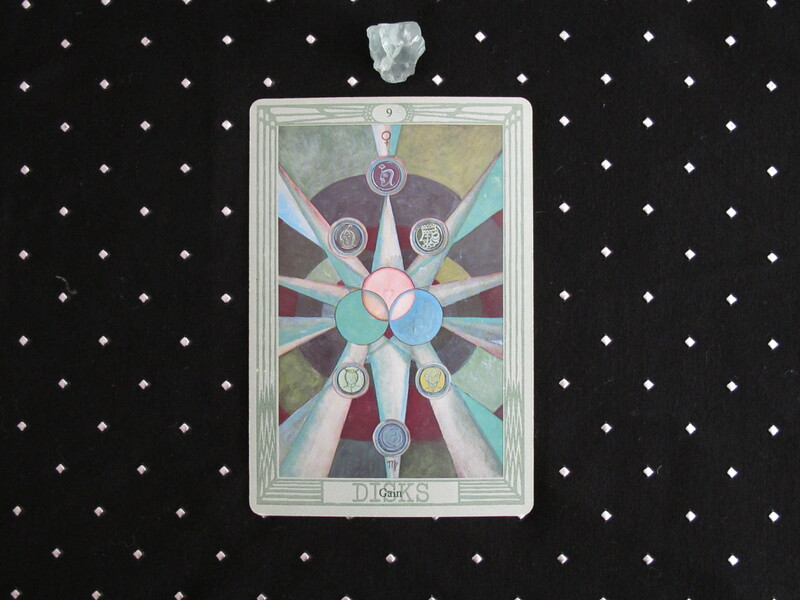 This entry was posted in astrology, equinox, Four Directions, Shamanic practice, solar cycle, spirituality, Thoth Tarot and tagged astrology, September equinox, solar cycle, spirituality, Thoth Tarot. Bookmark the permalink.